Do you consider yourself a fitness freak? Remembered by your friends and families as that one lady who always want to keep track of step counts and sleeping hours? 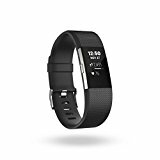 If so, you must have been longing to find that perfect, highly-essential fitness tracker. In today’s market, it’s hard to find one that can be both functional and fashionable for the meticulous lady health buff like you. But fret not, because we’re here to help you out. 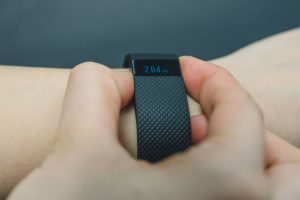 In this feature, we’ve comprehensively reviewed five of the best fitness trackers that have been creating big buzz in the women’s fitness community. 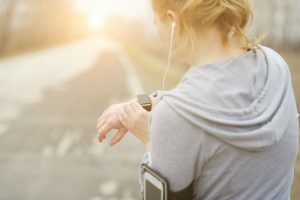 Before giving you a rundown of the products’ best features, pros and cons, here’s a list of what you need to consider before buying a fitness tracker. 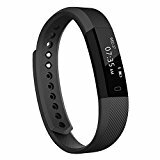 Know how much you’re willing to spend for a fitness tracker, because believe us, this gadget has quite a wide price range. You can choose a brand or a model that is fairly economical but can give you the basic functions, or you can opt to buy something that’s on the pricier side but has all those innovative, high-end features. 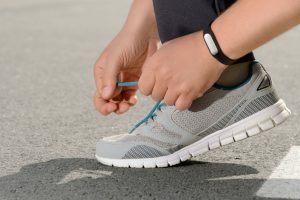 Steps, calories, heart rate, hours spent sleeping – list them down and look for these specific features before adding a fitness tracker brand to your cart. You might not want to spend on some item that does not satisfy all your tracking needs. Do you need a tracker that automatically syncs? Do you prefer to keep an eye on your activities manually? How often do you want to charge your device? How about a tracker with GPS, or that is water resistant? Do you want to have smart notification options? 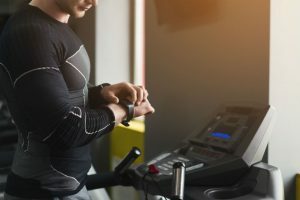 After determining the answers to these questions, you’re one step closer toward scoring the most suitable fitness monitoring gadget for you. Choose a tracker that appeals to you most and best matches your preferences. Basically, this gadget’s design can fall into one of these categories: sporty-looking, smartwatch-type, or analogue watch-like. Depending on your taste and personality, you actually have a lot of designs to choose from. All you need is to go after your style and not merely follow just any trend. 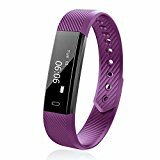 In this section, we will now give you a balanced review of the five best fitness trackers for health-conscious gals. 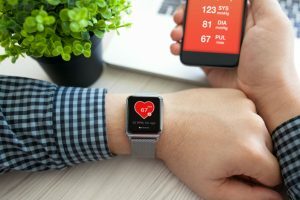 If you want to get a clearer picture of your health condition, you might want a tracker that can monitor your heart rate. 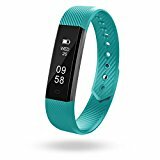 In this aspect, the FitBit Charge 2 is one of the models that fare well in the market. Here’s why. It has GPS technology that lets you monitor real-time pace and distance statistics. If you’re a fitness advocate, you how important it is to monitor your cardiovascular health. 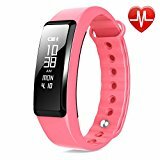 And for you to keep track of your heart rate, having a reliable and all-rolled-into-one fitness tracker could be the most convenient solution. FitBit Charge 2 is packed with stand-out and essential features that will let you efficiently do this. 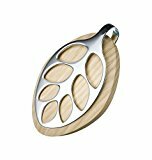 One major thing that makes Bellabeat Leaf Nature Health Tracker stand out among its female-targeting rivals is its ability to keep track of your reproductive health. And as a woman, you know too well how vital this feature is. 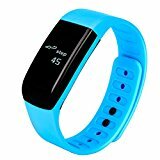 In this section however, we’ll also give you a glimpse of its other specifications to give you an idea of how well this gadget can track your fitness level. 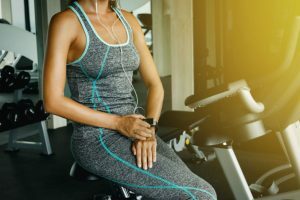 A fitness tracker that gives you a better understanding of your reproductive health is a surefire way to attract female fitness buffs. Banking on this thinking, Bellabeat offers a leaf-shaped product that looks like an elegant piece of jewelry, yet is equipped with features that can monitor your menstrual, fertility and ovulation periods. These features come on top off the product’s ability to keep track of your health-related activities and to help you manage stress with its built-in meditative exercises. As it touts itself, the Toobur Fitness Tracker is deftly designed to work as a smart, slim and stylish health-monitoring device. Its wide-ranging features work altogether to give you a panoramic view on how you’re doing in your fitness journey. It also offers a relatively longer standby time. This tracker can last for 3 to 7 days with one-hour charging! If apart from functionality, design is also an utmost priority, you might find the perfect fitness tracker in this Toobur offering. This item has an appealing slim look, and is also loaded with features that can guide you in your fitness endeavors. 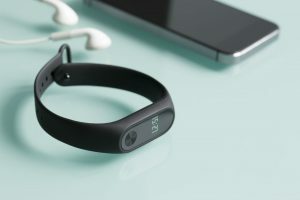 Some of its top-notch features include heart rate monitoring, sleep tracking, and being waterproof. Inclined toward having a fitness tracker that is rather sporty and smartwatch-looking? NewYouDirect’s activity monitoring device might just be the one you’ve long been searching for! Read on and become acquainted with product’s best features, as well as its pros and cons. Looking for a fitness tracker that can complement your athletic, sporty preferences? Search no more! The NewYouDirect Smartwatch Activity Tracker is a sleek-looking wearable gadget that lets you keep track of your fitness level – from the distance you’ve covered to the calories you’ve burned down to the quality of sleep you’ve had. With the advent of technology, fitness trackers can be more than just a wearable gadget that lets you count your steps or the distance you’ve covered so far. Nowadays, the competition among companies lies in their products’ multi-functionality. And if you’re wondering how Tantan’s smart bracelet perfectly fits into this category, we’ve rounded up some of its best features below. It also lets you easily see the time by simply turning over your wrist – yes, there is no tap needed! Look sleek and stylish while keeping track on your different fitness measures. With the Tantan Lohas01 Fitness Tracker, you can now monitor your step, calories, heart rate, sleep and even blood pressure with just a few taps. It is also armed with other features that can up your fitness-monitoring game: from getting SNS/SMS/call notifications to remotely controlling your phone’s camera. Finding the most suitable fitness tracker can be really be a daunting task. On the market, you can attest that devices of this type run aplenty and they vary from functions offered to their designs. 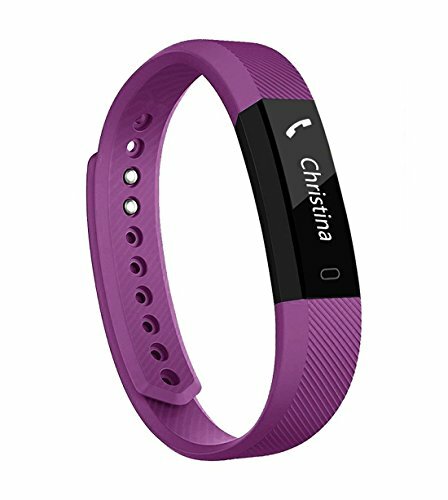 In this article, we’ve presented to you five of the best fitness trackers for women. Generally lightweight and stylish on their own, these gadgets offer different features. However, it all boils down to one common denominator – to let you conveniently monitor a variety of fitness measures. Can’t decide which item will you buy? 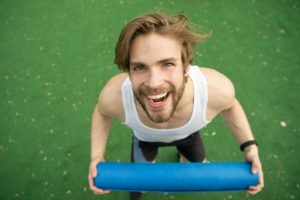 Go over this comprehensive guide, and let us be a significant part of your road to being more fit and healthy! Which is the Best Step Counter? 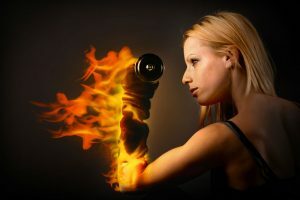 How Many Calories Burned Per Step? Garmin Fitness Tracker vs Fitbit Fitness Tracker: Which Is the Best? Smartwatch vs Fitness Tracker: Which Way to Go? Some recommended products may use affiliate links. 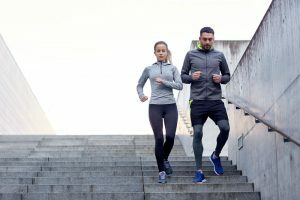 OneFitnessApp.com is a participant in the Amazon Services LLC Associates Program, an affiliate advertising program designed to provide a means for sites to earn advertising fees by advertising and linking to Amazon.com. Amazon and the Amazon logo are trademarks of Amazon.com, Inc or its affiliates. Copyright © 2017 One Fitness App | All Rights Reserved.